Meet The Team | About | Encore Realty Services Inc.
Paula has been selling sunny Florida real estate since 1999 along with her husband, Rick. They worked as the Spouses Selling Houses team with Paula's parents until their retirement in 2004. Soon after, Rick and Paula opened Encore! Realty Services, a full service boutique real estate company with a solid reputation for professionalism, communication and service with integrity. Prior to working in real estate, Paula was a Human Resources Supervisor and later Manager of Distribution, Packaging and Export for the Fortune 500 Gillette Company. She served in various capacities for twelve years in WI before relocating to Florida. Paula has been awarded Realtor of the Year, has been president of the local board of realtors twice, has served on the State of Florida board of realtors, chaired numerous real estate committees, taught real estate classes at the board of realtors and numerous other ways giving back to her profession. Paula is also involved in their church and daughters high school. Paula and Rick have three children, two in their own careers and one still in high school. In addition to spending time with family, Rick and Paula love to camp, dive, travel and give back to their church and profession. Guiding clients in achieving their real estate goals is her passion and joy! Jeannette and her husband are from Upstate New York and first came to visit Cape Coral in 1998. After visiting several times every year, they decidedly purchased a pleasant gulf access, waterfront home in 2003. Although having a career with the State of New York, she has always had a passion for sales having worked 11 years part-time selling Real Estate in New York. Upon moving permanently to Cape Coral in 2009, she immediately started full time, assisting clients with their Real Estate need in beautiful southwest Florida. Jeanette indicates, "Many of my clients appreciate my sales knowledge and willingness to show properties not only in Cape Coral, but Fort Myers, Naples, Bonita, Estero, Pine Island, Lehigh Acres and other near by surrounding areas." "Let me help find you the most perfect, sunny, Southwest Florida home that's suitable for all your needs!" • Listen to your needs and wants to locate the best property for you. • Be available at times that are convenient for you! • Communicate regularly current market availability of property that meets your needs. • Assist you with determining property values, financing, negotiating and writing contracts, home inspections, locating professional services, title transfer and closing. • Represent you to the fullest extent of the law as a Sellers Agent or as a Buyers Agent, unless the property I show you is an Encore! Realty listing. If the property is an Encore! Realty Services, Inc. listing, Florida law requires me to be a neutral party and I become a Transaction Broker. 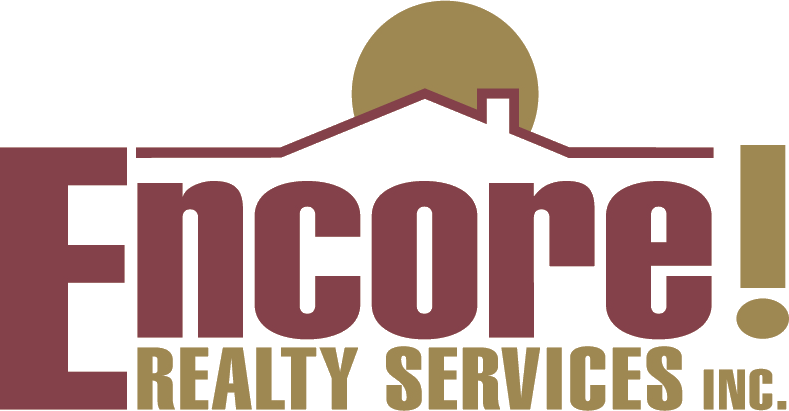 I am ACCRS designated - Accredited Cape Coral Residential Specialist; have been voted multiple times as a "FIVE STAR Best in Client Satisfaction Top 5%" as published in Gulf Shore Life; and in 2014 the Brokerage of the Year was awarded to Encore! Realty Services, Inc.
What keeps me motivated and my primary goal in this profession is to make my customers/friends happy with assisting them to own that "perfect little piece of Paradise" carved out just for them! I love keeping friends, gaining trust, and having referrals and repeat business as my highest honor! Originally from Michigan, John has lived, worked, and raised a family in beautiful Southwest Florida for over 17 years. Together, John and his wife Rosanne, have enjoyed raising three sons here in Florida, and are enjoying it even more as they've been blessed with two lovely daughter-in-laws and now a granddaughter! John's experience includes actively investing in Real Estate for over 30 years. John indicates; "During the last 8 years I've worked as a Realtor specializing in residential and commercial real estate. As an avid boater, I'm looking foward to sharing my knowledge of the local waterways to both You and newcomers to this area." Formally trained as an accountant, John holds a B.S. in Accounting, and a MBA from Wayne State University. Prior to working as a Realtor, he's worked more than 20 years in progressively responsible financial reporting, management, and operations positions within the newspaper industry. John's education and business experience has allowed him to assist investors and homeowners with analyzing opportunities in all facets of commercial, residential and multi-family real estate. John indicates; "Many of my clients find my education and job experience to be an asset in determining prime investment opportunities. They appreciate the assistance I can provide to them in achieving their real estate goals and investment objectives." John has a passion for his profession as he indicates; "I believe in strengthening the important role of the Realtor in the real estate transaction and the standards they adhere to, and thru my volunteer work within the real estate industry, continue towards achieving that goal. Over the years I have served in numerous capacities at the Cape Coral Association of Realtors, and most recently as Treasurer of the Royal Palm Coast Association of Realtors. As technology impacts and changes the real estate environment, it is important that Realtors become proficient and knowledgeable so that can continue to serves their clients' best interests." Outside of real estate, John's involvement includes the local Knights of Columbus and Rotary International organizations for which over ten years, continues serving as a board member and various officer capacities. Both of these organizations raise money to invest and serve the needs of our local community, while their national organizations allows us to assist the needs of others throughout the entire world. "I look forward to putting my real estate experience and community knowledge to work for you!" Claire Avery returned to selling real estate in 2016 after practicing law in Lee County, Florida for 25 years. Her prior real estate experience includes one year with Keller Williams Realty Fort Myers and The Islands and three years in the Key Biscayne office of the Keyes Company, where she joined the ranks of the Million Dollar Sales Club in her first year. Claire hails from New York City. She earned her Bachelors Degree from Cornell University and her Law Degree from the University of Miami. Her background in real estate, business and law serve her well in relating to all types of people and all types of issues. She enjoys working in the community and has served on the Board of Directors of the North Fort Myers Chamber of Commerce, as well as volunteered as Team Mom for Little League and Soccer Teams. As a parishioner of St. Andrew Catholic Church, Claire has served in several ministries over her 26 year membership, including Lector, Extraordinary Minister, Funeral Minister and Usher. Service is in her heart. Claire's husband, Dennis, is a practicing attorney at Avery, Whigham and Winesett, PA in Fort Myers. Her son, Dennis Jr., is a nuclear engineer serving on a fast attack submarine in the U.S. Navy. Service is an Avery family trait.